What is Shutterstock and Its Subscription Plans? Having one of the largest stock media libraries, Shutterstock caters to many creative professionals. It offers file packages and subscription plans to fit various creative needs and budget levels. What is Shutterstock? It is a global company that accommodates both stock media buyers and artists. It also features innovative tools to power the creative process. With over 100 million stock assets in the library, Shutterstock promises creative minds with high quality images, videos and music. All pieces are available at straightforward prices, too. All you have to do is sign up to the website and find a plan that fits your creative needs and budget. This subscription plan gives you access to Shutterstock’s entire collection. Choose between monthly and annual plan to jumpstart your creative project. Plans are available with 350 and 750 images per month. To save 20% on your purchase, get the annual subscription plan with 750 images. You can download images without daily limits. This subscription plan is suitable if you are working with a group. It is also an annual plan that comes with 750 images per month. Prices vary according to the number of users, starting at $379/month for 2 users. Professional and Team plans are Standard license. They come with perpetual usage rights worldwide. You can use the images in unlimited digital productions, including website views, software, email, etc. However, only 500,000copies are allowed for books, magazines, posters, packaging and other physical productions. Copies of merchandise for sale and web or print templates are not allowed. A standard license is also required for Editorial use of images. It allows you to use your image downloads in multiple ways except on sensitive subjects such as pornographic content, politics, religion, physical or mental ailments, immoral and criminal acts, and adult entertainment. You can’t use them commercially or as logo or trademark. If you require more usage rights, you can get a different subscription plan with Enhanced License. But, you can’t still use them as part of sensitive campaigns. This entry was posted in Shutterstock and tagged shutterstock, shutterstock coupon code. Rollovers are unused downloads that are moved to the next month. This is possible when you are enrolled into auto-rebill with your subscription plans. You can rollover up to 1 month worth of downloads. Perpetual Rights. Perpetual rights come with Standard license. It allows you to use the images and footages you download without limit. You can use them multiple times in any project for as long as you like. Standard License. Most pricing and plans come with a Standard license. It allows you to use the images and videos with no limits on the number of audience, provided that your production budget is below $10,000. You also get unlimited digital reproductions as well as 500,000 copies for print runs. Editorial Content. Editorial content are images and videos marked for “Editorial Use Only”. They are available for projects about items of public interest or other newsworthy events. They can be used for commercial purposes, even non-profit organizations. Enhanced License. Enhanced plans come with an Enhanced license. It allows unlimited print runs. You can also use images and videos without limits on audience or production budget. It can also be used in promotional merchandise. Shutterstock subscriptions offer up to 750 images per month. They don’t have daily downloads. They give you access to the stock media agency’s library and are renewed at the end of each month. This means you have uninterrupted access to over 90 million images. Shutterstock Coupon. A Shutterstock coupon provides discounts to credit packages or subscriptions. They are used to get further savings. You can get them from the stock website itself or from its affiliate websites. When you use images and videos downloaded from Shutterstock, do you still need to credit that stock photo site? The answer is not always. However, there are certain uses in which you need to include a credit. Images used in an editorial context should include a credit, too. Shutterstock is the one-stop shop for creative professionals. It offers amazing content at straightforward prices. You don’t have to worry about hidden fees and commitment down the road. 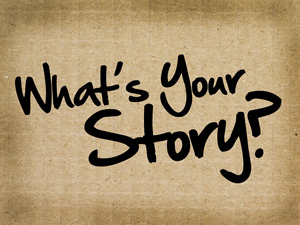 Thousands of content are added every day, too – widening your choices. Moreover, it offers exclusive content that you will not find anywhere else. With a Shutterstock coupon, you can complete a lot of projects. This entry was posted in Shutterstock and tagged shutterstock, shutterstock coupon code, Shutterstock coupons. The cost of everything can quickly add up during the holiday – gifts, food, decorations. In fact, the National Retail Federation expects the average consumer to spend about $805.65 in the holiday season. To keep the costs down, you can use coupons. Fortunately, coupons are not only available to your personal expenses. They are also offered by stock photo agencies, like Shutterstock and iStock. If you are currently not subscribed to any stock photo agency, sign up for one that offers you the chance to increase your savings this holiday without compromising the quality of your cheap stock images. Typically, you will receive up to 30% discount for your next purchase. Most stock photo sites offer coupons as an incentive to sign up or register to the website. Affiliated websites also use this strategy. There are a number of great stock sites in the market. It is up to you to find the one that best fits your creative needs and budget. Personally, we recommend Shutterstock as it is one of the leading stock photo websites in the market. It has over 60 million cheap stock photos, giving you a wider range of choices. If you are not subscribed to Shutterstock, you may want to sign up using a link from stockphotosecrets.com to get a Shutterstock coupon code as incentive. If you are currently subscribed to Shutterstock, you can also get Shutterstock coupons to use for the holidays. The website itself offers Shutterstock coupon codes because it is aware the many sites claim to offer coupons. These coupons allow you to download the images you, without worrying about getting them from untrusted sites. One of the trusted websites, affiliated to the stock photo agency, is Stock Photo Secrets. The key to having an upper hand in the holiday season is being able to get Shutterstock coupon codes before you buy images for your creative project. You should visit the website or its affiliate to have access to coupon codes. If you want to sign up for other stock photo agencies, you can also get active and valid codes from Stock Photo Secrets. The website offers exclusive sign up coupons for premier stock sites. Where can you get these coupons? Shutterstock coupon codes do not come in the Sunday paper. You can get them from the stock agency itself or from Stock Photo Secrets. The best part of it all is you do not need clippings. You can simply activate the coupon code on your browser and voila! You just saved money using coupon for Shutterstock in this holiday season. With these coupons, you can score instant discounts at checkout. What are you waiting for? 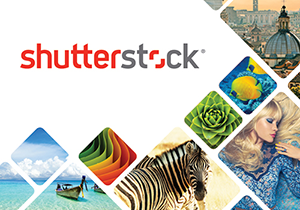 Get more savings this time of the year with Shutterstock coupon 2015. This entry was posted in Shutterstock, Stock Photo Discounts and tagged shutterstock, shutterstock coupon code. All stock image websites experience some issues sometimes, but they should not keep you from getting your stock files from one of them. No matter how big or small a stock agency is, browser issues, password problems and others cannot be avoided. Luckily, iStock lets its users troubleshoot these problems by providing them with do-it-yourself solutions. Thus, you do not have a reason not to get an iStock promo code anymore. If you are having password problems, do not panic. Password problems happen all the time. In fact, many people experience it – not only in stock image website, but also in social networking sites, business sites, blogs and many more. When this happens with your iStock account, simply enter your member name on the lost account details bar and you will receive an email linked to your account to retrieve it. If you are having browser issues such as asking to sign in repeatedly or being sent back to the previous page, you do not have to worry. This only means that you are having issues signing into your account because you are using the Internet Explorer 8. You see, iStock works better with recent versions of Internet Explorer and other modern browsers such as Google Chrome, Safari and Firefox. Are you getting signed out from your account without actually doing so? This could mean that your site cookie has been expired. This usually happens when you do not perform any activity within 24 hours. This happens automatically. If you are getting a 404 error, it means that you are not finding the site you are looking for. This happens when the page has been removed or renamed and you cannot find the new location. It might also mean that the file you are trying to download is no longer available in the website. Is it possible? Of course, some contributors withdraw their files from time to time. Since the file is no longer available, you will get a 404 error. If you are having problems with the iStock website, there are many things you can do. You do not have to give up a wonderful opportunity of getting incredible stock at ridiculously great prices. You should not deprive yourself of further savings from iStock coupons. The website provides solutions that you can perform by yourself such as clearing your browser cache and cookies. In conclusion, each browser is different from other browsers. You may experience issues with them once in a while, but this should not keep you from getting your images from a great image bank and enjoying discounts with iStock promo codes. This entry was posted in Stock Photo Agency and tagged istock promo code. Have you created your Photocase account yet? If not, you can sign up via the registration page at the website. You can also register via stockphotosecrets.com link to get Photocase free credits and discounts. But, if you already have a Photocase account, you may want to learn on how to navigate it for your convenience. Here are some tips on how to manage you Photocase user account. Check your remaining credits in My Photocase – a feature which works like a control panel. You may also change your username, password and profile image. You can also manage your images, lightboxes and buddy list from it. Creators can even check their income in their accounts. Photocase gives you your own personal space through the user profile. You can write about yourself and your interests to let other users know you. You can also put up a profile picture share links on topics you like. You can find your user profile in My Photocase. Do you want to create a good password in your account? Take note of these tips: (1) use six to eight letters, (2) combine letters, numbers, uppercase, lowercase, and special characters, (3) use compound words, and (4) avoid personal information. Do not give out your password. Photocase employees will never ask for your password or personal data. Protect it by storing it secretly and avoid using it for your other online accounts. If you delete your published photos, your account will be deducted by 6 download credits. However, you will keep the income you generated by selling that photo. Once you delete a photo, you cannot undo it. You will not also be guaranteed that it will be accepted to the catalogue again. Your user profile information shows up in Google Search. To change it, simple click the checkbox “Don’t allow Google to index my User Profile”. However, it may take a month before your profile to disappear in Google. You can turn on or off notifications on likes, comments and downloads of your photos. To turn it on, simply look for the link “Notify me about new comments”. To turn it off, click the Cancel Notification link from each message. You can also delete your account in Photocase. But, why would you do that? If you really wish to, simply send a message to the support team and they will delete your account as soon as they receive your email. By knowing how to manage your Photocase user account, you will find it easier to navigate through the website, learn about what you are able to do, and protect your profile. To make your experience more pleasing, get Photocase coupon code from an affiliate website to enjoy free credits and discounts. This entry was posted in Stock Photo Agency and tagged photocase, photocase review, register account, review. Stock images have become an incredibly large and popular market in the last several years. The huge, multinational, computer software company, Adobe, recently joined the ranks of stock content providers. Adobe Stock launched worldwide on June 16, 2015, and has been taking the stock photo market by storm ever since. With a growing library of over 40 million, beautiful and high-quality photos, it’s not surprising that they have more than kept up with their competitors. There are a handful of reasons why Adobe Stock is becoming the ultimate source of high-quality photos. You can read some the reviews of Adobe Stock in the internet. One of the reasons Adobe Stock has become so popular so quickly is because an estimated 85% of customers purchasing stock photos are using Adobe Creative tools. Now, with Adobe Stock, customers can integrate stock photos into these tools like Photoshop and InDesign much quicker and easier. They can make use of Creative Cloud, which further simplifies the buying and using process. One cool aspect of the Adobe Stock difference is the ability of customers to contribute images to the photo library. In a growing library of 40 million images, the capability of customer contribution opens up the door for massive expansion of images. Some of the highest quality photographers and designers will have the opportunity to share their work on Adobe stock. Adobe Stock is integrated for use in multiple programs. Photoshop CC, Illustrator CC, Premiere Pro CC and After Effects CC are just a few of the programs through which Adobe Stock can be used. Watermarked images can be added to the Creative Cloud Library for licensure. Once the image is licensed, the watermarked image is automatically applied. One key benefit of Adobe Stock Images is the flexible pricing options. The pricing provides customers with the ability to buy just one image or to buy multiple as they need them. Monthly plans are available to those who purchase multiple images on a monthly basis. Creative Cloud members can get the best value prices and can save up to 40%. Creative Cloud members also have the ability to rollover images left over from the month to next month, for up to a year! The cost is $9.99 per image or $29.99 monthly for ten images. Individuals requiring more than that can purchase the largest plan that is 750 images for $199 monthly. Prices for Adobe Stock customers that are not Creative Cloud members are available separately. This entry was posted in Adobe Stock and tagged adobe creative, adobe stock. As you continue to search for the cheapest stock photos online, you will learn that there are several ways to go about it. If you plan to grow your business avoiding creative commons images is crucial as these come with debilitating limitations. Stock photos on the other hand offer you images that are usable throughout all of your marketing campaigns and design projects. And contrary to popular belief, they’re not as expensive to get as you might think. If you are a small or medium-sized business, your stock photo needs might be caught in between the expensive subscription plans and the pricey pay-as-you-go options. If your business requires just about 15-30 stock photos per month, you can find a cheap stock photo agency here. Offering some of the cheapest stock photos online for business owners, 99Club gives you 200 images for an entire year for just $99 pricing each image at less than $0.50. And if you need more than 200, you pay only $1 per extra image. Dollar Photo Club offers a similar deal but charges $1 per image always. We recommend using 99Club since the upfront cost of $99 is the same except you gain access to twice as many images. Another way to get the cheapest stock photos online is by not paying for them in the first place. Currently you can sign up for several free trials that will give you a handful of free photos each. As our valued reader, we wanted to give you access to StockPhotoSecrets.com free trial which gives you access to 35 images from a choice of over 2,000,000. You can download 5 images per day for 7 days and those images are yours forever. To get some cheap stock photos, try the Bigstock one. Again you’ll get access to 35 images which are all royalty-free and high quality. For an even bigger selection of photos, Bigstock has a library with more than 22 million images in its archive. Besides stock photos, you’ll also be able to download vectors and illustrations for any project you have. The support team at this stock photo agency is legendary and you’ll always get your questions answered without hesitation. There are some other stock agencies which are usually cheap but also offer free trials. When you simply sign up at Depositphotos for example. These credits will be loaded into your account immediately after you register and you’ll be able to download photos right away. They doesn’t just offer high-quality photos, vectors, and illustration, you’ll also gain access to HD quality stock footage to use for your YouTube videos or other movie projects. Coupon codes allow you to sample a stock photo site’s offering without needing to commit to the full price. For example, if you want access to millions of images, you can get a free month on some affordable stock agencies. Given the choice between two plans, you get a month for free when you purchase either the Plus or Super Plus package deal. PhotoSpin is one of the best ways to get the cheapest stock photos online since the price per image is extremely low. If you’re going to use a lot of stock photos for your work, PhotoSpin saves you money. And since you get a free month with this coupon code offer, you’ll get an even cheaper deal. A iStockphoto promo code like this one now gives you uo to 20% off your next purchase. Whether you plan on getting a subscription package or a credit pack, iStock is a stock photo site for almost anyone from the professional graphic designer to the solopreneur creating their own website for their business. Images start at couple of dollars each and their selection of images grows every single day. All the photographs on this site are professional and usable for posters, flyers, as well as web-design. As one of the most well-known stock photo solutions, Shutterstock is not necessarily known as offering the cheapest stock photos online. But right now you can save up to 15% via this Shutterstock coupon code here. Gain access to tens of millions of the best photos on the web at a reduced price today and start making your business grow with better marketing. This coupon code is only valid through 2015 so make sure to take advantage of this limited time offer while it’s still around. Finding the cheapest stock photos online isn’t as hard as some people might assume. Whether you use coupon codes, free trials, or gain access to a discount stock photo site, you’ll be able to save money on stock photos for your business. This entry was posted in Stock Photos and tagged cheapest stock photos, discounted stock photos. StockPhotoSecrets also offer step-by-step guides and video tutorials to avail those Shutterstock coupon codes. You can pick any of the available coupon code and you can save as much as two hundred dollars if you plan to use the discount coupon code on the one year standard license subscription plan. This entry was posted in Blog, Coupon Codes, Stock Photo Discounts and tagged codes, coupon codes. Are you paying too much for stock photos? As you know, stock photos agencies offer different pricing plans that can make you want to take out your calculator. It’s not always easy to decide which one you should purchase. With options between subscriptions and pay-as-you-go credits, you probably just want a quick solution. So we took out our calculator for you and did the math in-depth leaving no penny unturned. If you had an unlimited supply of stock photos that were high-quality, how many would you actually use every day? It is easy to feel limited when you are paying a premium for stock photos. You are on a budget but you want to have access to more creative solutions to use in anything from your blog posts to social media to design projects. With these cheap stock photo agencies, you can get more photos for less. To make it easier for you, we compiled a list of 6 of the cheapest stock photo agencies and how much you can expect to pay. We’ve already done the deal searching for you, took out our calculators, and even have some cheap stock photo coupon codes to give you extra savings so read on to discover the 6 cheap stock photo agencies in-depth. With prices as low as $0.26 per photo, Shutterstock offers prime prices. In order to get your stock photos this cheap, you need to purchase the yearly subscription service which is priced at $199 per month for a year for a total of $2,388. If you do not want to commit for a whole year, there are also monthly services that cost $249 and a three-month plan that is $229 per month. The month-to-month plan will cost you $0.32 per stock photo while the three-month subscription gets you photos as cheap as $0.30. These Shutterstock subscriptions give you access to 25 stock photo downloads per day. In order to get the cheapest prices, you need to download your total allotment of photos per day. The Shutterstock subscription is best for a busy online business that needs daily photos. If you are only using one or two photos per day or even less than that, Shutterstock will not be the cheapest stock photo agency option for you. However, for businesses and individual who want access to more than 46 million high-quality stock photos, Shutterstock is an industry leader. On the reverse end of the cheap stock photo spectrum, Dollar Photo Club is perfect for those individuals who only need 1 stock photo every day or every week. The math behind this service is simple. Each stock photo costs only $1 always. An offshoot of Fotolia, Dollar Photo Club is perfect for the creative professional seeking cheap stock photos. There is a yearly subscription plan that costs $99 and gives you access to 99 photos. If you need more, you only pay $1 per photo after the 99. Besides the $99 VIP membership, Dollar Photo Club also offers a cheaper subscription plan that costs only $10 per month which gives you access to – that’s right, you guessed it – 10 high-quality cheap stock photos. This month-to-month plan has an application process. According to the site, only 30 percent of applicants are accepted to this service to give you access to the cheapest stock photos. While Shutterstock’s subscription services blows Dollar Photo Club’s $1 photo out of the water for customers utilizing large bulk stock photos, Dollar Photo Club is perfect for the creative individual with a blog or weekly newsletter, small business owner, or freelance designer who needs cheap stock photos only a few times per week. For the individual looking for a by-the-photo purchase on the cheap, Dollar Photo Club is great. You’ll have access to over 25 million cheap stock photos. At Fotolia, you get access to royalty-free stock photos at the cheap price of only $0.19 per image. Like other cheap stock photo agencies, there are subscription and pay-as-you go plans. The in-bulk Fotolia subscription plan gives you access to the cheapest rates. You and your company will be able to download between 25 and 250 cheap stock photos daily with these plans and here is where you’ll find the advertised $0.19 per stock photo price. Obviously you need to be in need of large quantities of cheap stock photos to take full advantage of this great offer. If you need unlimited amounts of stock photo downloads per day, Fotolia also offers a monthly subscription plan that gives you between 5 and 5000 downloads per month. When you purchase the higher end of these monthly plans, you’ll get access to a cheap per stock photo price of $0.64 per image. Any unused images will be rolled over month-to-month to make sure you don’t miss out on images you’ve paid for. Another option available for the small business or creative individual, Photodune offers cheap stock photos [ as low as $1. The dollar per image is for the extra-small image which increases to $2 for a small image, and then there is a one dollar increase for each size upgrade after that. If you do not want to spend hundreds of dollars per month for cheap stock photos, then Photodune will be a viable option, you should consider. Besides offering cheap stock photos, Photodune is part of the larger envatomarket which gives you access to other creative products like video and audio. At the top of the list as one of the cheapest stock photo agencies available, PhotoSpin offers subscription plans that give you access to images as low as $0.06 per stock photo. With the Plus and Super Plus subscription packages available for businesses and other users who need large quantities of cheap stock photos, you will have millions of options to choose from at PhotoSpin. The Plus plan starts at $429 for the year and goes up to $749 per year. This gives you access to images from $0.07 to $0.06 per image. That’s an unbeatable price. The Super Plus plan satisfies your larger pixel requirements with cheap bulk stock photo starting at $649 per year up to $1049 annually. For these 5100px/17in photos, you will pay $0.11 to $0.09 per image. If you purchased the cheapest of each plan, you would have access to at least 16 images per day including weekends or a total of 500 images each month. The higher priced plans give you access to 1000 downloads each month. PhotoSpin also tries to appeal to the individual in need of only a photo or two. It offers a single photo option with prices starting at $2 for a small 864px/2.5 inches. Prices steadily rise from there until maxing out at $30 for an extra-large stock photo of 5100px/17in. With access to nearly 30 million high-quality stock photos, you will never go wanting if you buy from this cheap stock photo agency. DepositPhotos offers both a monthly subscription and a daily subscription plan. While the price per images of these plans are cheap, the total cost is very high so it will be best for large corporations and bigger businesses seeking to buy in bulk. The DepositPhotos daily subscription plan can cost as little as $0.15 per image if you purchase the one year plan with 200 images per day. This totals to a whopping $10,999 dollars. For the monthly subscription option, if you purchase the plan for 1 year and get 5000 images per month, you can get access to individual images at $0.63 a piece with a total cost of $37,699. When it comes to the better deal, if you want to have access to a large quantity of high-quality cheap stock photos, as a DepositPhotos customer select the daily subscription option. At nearly 30 percent the cost of the monthly plan, you will have access to 124 percent more photos. It seems DepositPhotos has yet to run the math on this one. You can also get pay-as-you go photos for as little as $0.90 per image if you purchase 1001 in bulk. It has been our intention to make the search for the cheapest stock photo agencies easier for you with this in-depth guide on the pricing plans of the cheapest options available. Whether you are a big company that uses hundreds of images per day or an individual who needs only a few images per month, there are options for you to find cheap stock photos. If you have a favorite cheap stock photo agency that we missed, please share it with us in the comments. What if you could find a stock photo agency that offered you photos as unique as you are? At Photocase cliché stock photos aren’t allowed. Whether you are a professional interested in purchasing unique photos or a photographer who wants to sell, Photocase offers you a refreshingly unpredictable solution. Keep reading to learn more about this great online photo resource and a Photocase coupon code to get you started today for free. Photocase is home to over 483,000 users who love the service. With its main office in Berlin, Germany and launched in 2001 as a photo exchange platform, Photocase specializes in offering non-stock images to its world-wide audience. At Photocase originality and non-conformity are praised. The agency supports creative photographers and sands outside the box compared to the classic agencies. Started by 4 guys determined to offer graphic designers an easy way to share images, the small group would shoot their own photos and offer them free to other members. As the founding group of graphic designers became hooked on what was evolving, Photocase began to invite more photographers into the mix. As more and more artists became attracted to the Photocase model and started sharing their original and unique photographs, the service grew exponentially leading to what it is now. Photocase is home to more than 16,000 photographers and is the most frequented image resource in Germany because of its reputation for high-quality, unique, royalty-free photos. Priced below the classic stock photo agencies but at a premium compared to other microstock companies, Photocase remains a strong player in the industry with over 315,000 hand-selected images. Registration is free and with the Photocase coupon code you will get 3 images for free and a discount on a future purchase. Compared to the classic stock photo agencies, Photocase.com offers a unique selection of photos that will make your work stand out from the pack. According to a recent review of Photocase on StockPhotoSecrets.com, the service is a great way to gain insight into the European market. Because of its home in Germany, Photocase can give corporate buyers an advantage especially when they are not allowed to use credit cards or PayPal as Photocase also offers a direct debit and an invoice option. With its offering, a company can take target a European market for their product or service by using images that speak to the people. Searching for a non-stock image could not be more specific. If you would like to find the perfect image to fit your need, you can search by resolution requirements, orientation, and even color. Unlike many other services, Photocase even allows you to enter the HTML code for the color so you can get an exact match to your brand or website color scheme. This is the website designer’s dream. For those who love to browse photos, Photocase’s Explore feature will give you a chance to check out the site’s most awesome photos. The Explore feature includes the collection of Photocase’s most popular photos. Non-stock photos only make it on here based on the complicated “awesomeness algorithm” which calculates how interesting each photo is based on clicks, comments, and more. You can even browse by the most interesting users to discover new artists and photographers. In order to download photos to your computer, you need Photocase download credits. You should think of download credits as Photocase currency. You can purchase these download credits in bulk and save money depending on how many you buy. For first time buyers, a Photocase coupon code is available from StockPhotoSecrets.com to save you money. Each photo you want to download costs 3, 6, or 10 credits depending on the photographs size. You can also earn download credits for every approved photo you contribute to Photocase as a photographer. To get started you have the option to purchase download credit packages or a subscription from Photocase. Download credits are perfect for smaller operations while subscriptions offer the better price per credit. -Download Credit Packages: These packages offer you anywhere from 6 to 1000 download photo credits and cost between $16.00 and $1350.00 USD to purchase. See the chart below for a specific layout of how these download credit packages are organized and how much you can save per credit. Remember the Photocase.com coupon code can help you get started for free. -Subscriptions to Photocase: The subscription service offers you new credits everyday that you can use to download photos. Subscriptions can save you 50 percent on an equivalent download credit package. Subscriptions are billed monthly and have a 3 month commitment minimum. When you purchase a subscription you have instant access to all the photos. You can purchase either the 9 credits daily option for $180.00 per month at $0.67 per credit or 20 credits daily for $310.00 per month at $0.52 per credit. When you buy non-stock photos at Photocase.com, you receive the royalty free standard license. This requires that you credit the photographer and the source and is limited to 250,000 print runs. If your needs exceed the standard license, you are offered extended licenses which will waive the crediting requirement, and offer unlimited prints or resale products. No matter what photo you purchase on Photocase.com, you can use it worldwide without any restrictions and for multiple projects. The standard license covers the usual uses in commercial and editorial areas. Although there is a requirement to credit the author and Photocase.com as the source, you can waive it with the extended license which usually costs an extra 25 credits. If you are a photographer, Photocase could be the perfect place for you to upload your photos for sale. Because the company values originality and unique photos, your photography must match the style. Browse some of the photos on the site to see if you’re a match. According to the site, your best chance of having your photos accepted is if you are proud of them and if the photos have character. If your photos meet these stylistic requirements, you can upload your photos. In order for a photographer to upload photos to Photocase images must be in the JPG or TIF file format with a file size between 1-50MB and a minimum width of 2500px. Photos can be easily uploaded via Dropbox or via the upload manager on Photocase.com. Before submitted photos go live on site, they undergo the Photocase review process by photo editors. The process takes between 3 and 6 days and possibly longer if a lot of photos are uploaded by multiple users at the same time. Because Photocase.com has high standards photos are often rejected. Make sure to adhere to the stylistic requirements when you submit to increase your chances of acceptance. When your photograph is purchased, you earn a royalty rate between 40 and 60 percent depending on your current share level. You share level is determined by a point system. You earn points for every finalized photo on site, every time one of your photos is bought, 1 point for every Euro you earn, and also points for community participation. The more points you have the more you earn. As a premier European photo agency, Photocase offers high-quality non-stock photos with character to fit your needs. Prices are lower than what the classic agencies charge though higher than other microstock services. Because of the available Photocase coupon code, now is a great time to check out the services available for free. You will get 3 photo credits and 25 percent off your first purchase. Unlock your coupon code today and get access to out-of-the-box stock photos from Photocase.com. This entry was posted in Blog, Coupon Codes and tagged coupon code, discount code, photocase.